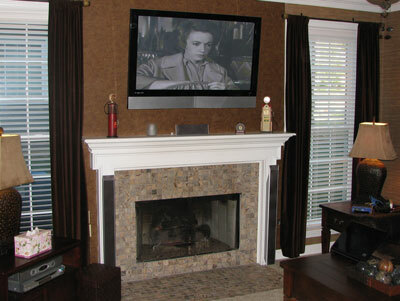 IRM Home Theater began operations in 2006 in response to a client request. CB had been quoted $15,000 by a local installer to hang a 42" plasma above her fireplace and purchase and configure a low-end surround sound system. That price didn’t even include the cost of the television. At CB’s request, IRM priced a plasma television, surround sound system and included a conservative estimate for installation. The total came to less than half of her original quote  including the television. After the installation was completed, we had a very happy client and IRM Home Theater was born. There are high-end installers who want to sell you a home theater system that would impress Steven Spielberg; and there are low-end installers, available through big box electronic stores, that will hang a television but will do nothing with the cables or relocate electrical. Who is there in the industry to serve the people in the middle - those home owners who want to take advantage of the low prices for flat screens, mount it on the wall to free some floor space, and route the cables behind the wall for a clean, professional look? Now there is IRM Home Theater.